You should be happy, right? Everyone else is. Look at your friend’s perfect vacations on Facebook and smiling faces on Instagram. But, you feel unsatisfied and unhappy with your life. You struggle to find contentment even though you recognize that you are blessed. Ann C. Sullivan has been there. As an active speaker, she found herself scheduled to speak about contentment at a time she was struggling with her own depression. After going through the process to address her depression, she realized she had to rethink her idea of contentment, this thing she had been speaking about for years. 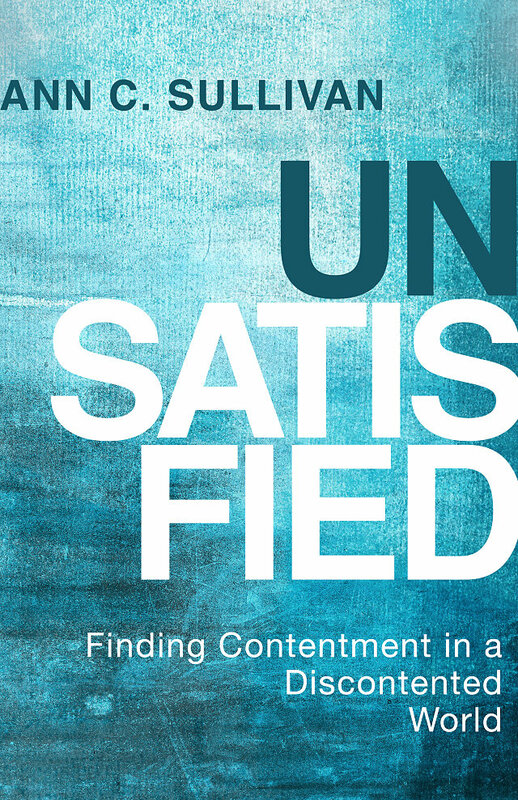 In Unsatisfied: Finding Contentment in a Discontented World, Sullivan sorts through the reasons for our frustrations – Drama, Judgement, Fear, and Comparison – and leads readers on a path to genuine contentment through Hope, Purpose, and Fulfillment. Unsatisfied dares readers to believe that God is closer than you think, sorts through the reasons for unhappiness and frustrations, helps define fulfillment, and leads readers to find genuine contentment. Unravels our cultural definition of fulfillment. Identifies the empty spaces the comparison game leaves behind. Connects the dots that lead to genuine contentment.